Mary Ann Mann, 75 of Freetown, passed away on Tuesday, December 18, 2018, at her home. She was born February 27, 1943, in Borden, Indiana, the daughter of the late William and Helen (Anderson) Ira. Mary Ann married her husband of over forty years, Robert Earl Mann, August 8, 1965, and he preceded her in death on April 15, 2008. She was a graduate of the Clearspring High School class of 1961 and a member of Freetown United Methodist Church. 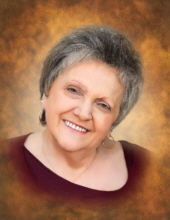 Mary Ann enjoyed flower gardening and singing but most enjoyed taking care of her family especially her grandchildren. She is survived by her children, Brett (Quincey) Mann, Bobby (Debbie) Mann, Courtney Mann-Combs and Brian (Tracy) Mann; grandchildren, Meghan (Levi Willey) Mann, Nathan Mann, Emily Mann, Corey Combs, Kyle Combs, Maison Pipping, Cooper Mann, Derek Ridlen and Lindsey Ridlen; a sister, Kathy Griffin and several nieces, nephews and cousins. She was preceded in death by her husband, parents, brothers, Bill and Harold Ira, and sisters, Winnie Hill, Sharon Ludwig and Carolyn McCory. Services will be conducted Saturday, December 22, 2018, at 10:30 a.m. at Freetown United Methodist Church. Friends may call at Winklepleck & Brock Funeral Home in Brownstown on Friday from 5:00 p.m. to 8:00 p.m. and at the church on Saturday after 9:30 a.m. until time of service. Burial will be at Freetown Cemetery. Memorials may be made to the Freetown United Methodist Church or Premier Hospice. To send flowers or a remembrance gift to the family of Mary Ann Mann, please visit our Tribute Store. "Email Address" would like to share the life celebration of Mary Ann Mann. Click on the "link" to go to share a favorite memory or leave a condolence message for the family.